Today's best deals include FireJumpers on Android, Cortex Camera on iOS and Golden Bricks on Windows Phone. Deals end without warning, so be quick! 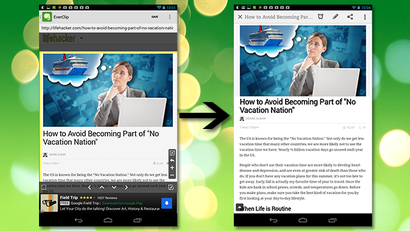 Android: Sharing web pages to Evernote through Android's share menu only saves the URL and page title. If you want to save selected content as well without copying and pasting, EverClip is a flexible solution that should work in any Android browser. Android users might only have to wait until Tuesday to get their hands on the native version of catch-up service Foxtel Go, if a slip of the tongue by one of the company's technical support guys is to be believed. 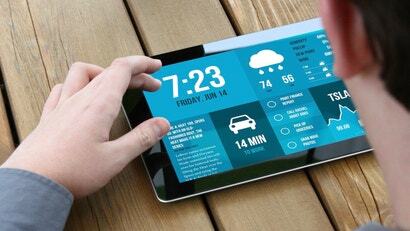 iPad: If your iPad is within reach when you wake, Morning turns it into a dashboard packed with useful information you need to start your day off on the right foot. The weather, your to-dos, calendar appointments, news headlines and your estimated commute time are all in one easy to read display. When it first come out, the world went a bit crazy over Wii Fit and its included accessory, the "Balance Board". A few years on though, and how many people still use the software, let alone the hardware? If you'd like to put the gaming gadget back to work without having to fire up your console, you should check out FitScales. 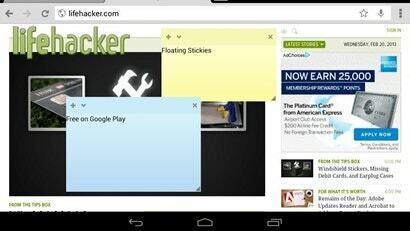 Android: Floating Stickies is a great app for creating customisable sticky notes that can float above anything else on your screen. If you're not sure how to spend Australia Day this year, you haven't much to lose by picking up the Australia Day 2013 app, particularly if you're in Sydney, or elsewhere in NSW. 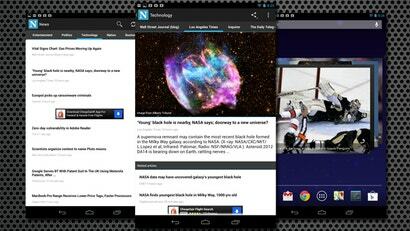 On desktop, Google offers three "channels" for Chrome, its WebKit-based browser: stable, beta and development. Previously, only the stable version was available via Google Play, but now users can try their luck with the latest beta if they're keen to see what's coming down the pipeline. Android: There's no shortage of great podcast managers for Android, but if you're looking for a solid app that won't cost you a penny, AntennaPod is worth a look. The app packs support for OPML imports and exports, subscriptions via RSS and a homescreen widget player. Android: If you're a fan of Reeder for OS X and iOS, but wish Android had a similar newsreader, congratulations: Press is the app you've been waiting for. The developer takes more than a few design cues from Reeder, and that's a really good thing. Apple has just released a new app under the iTunes brand, called "12 Days of Christmas". Each day, for most of a fortnight, Apple will give something away free. While it's not clear whether you need to download the app to take advantage of the deals, it will notify you as each one becomes available -- with push notifications, if you decide to enable them. Android: Google Play has a great wishlist function for apps and content for which you're not quite ready to pull the trigger but doesn't have a way of notifying you when content goes on sale or if there is a price drop. Enter AppWatch, a free app that monitors this so you don't have to.